With a seemingly large selection of operators to choose from in Switzerland, I've decided to do a little research into what the costs and extras are. Now while there are some tips and advice available on-line none seem to be very clear as to which network is the best and I suppose that is because everyone requires something different from their phone provider. So keeping this in mind I have decided to compare the providers based on my requirements. I am a 26 year old, who only uses her phone for texts and calls, I'm not interested in a new phone and as I am unsure as to how long I'm going to be staying in Zurich I want to get a prepaid phone. 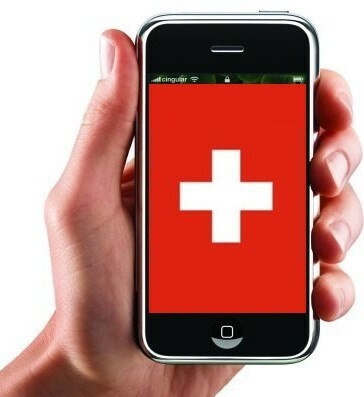 The three Mobile Network Operators (MNO) in Switzerland are swisscom, sunrise and orange. Their networks are used by a number of Mobile Virtual Network Operators (MVNO). I have provided the list below that details which reseller is running on which network. to see which network would suit my needs best. Some of the websites are very clear and some of them are not, and these are the result of some extensive trawling through all their websites. While all the information is some times not clear, available and will probably be soon out of date. I felt that it might be helpful for people to be able to more quickly compare prices. While I have neglected to include the initial cost of the sim card it should be mentioned that this basic cost is personally somewhat irrelevant compared to what you will be paying later down the line. Disclaimer - All the information provided in the table was compiled by me on the 30th of August and was subject to my understanding of the website, so should in no way be taken as the guaranteed costs, only a guide. If your interested in a particular network consult their website personally before hand or get in touch with them directly. As for my personal choice of mobile phone operator? Well I ended up going with Orange. The sim card cost 10 CHF and had 5 CHF credit included, the main deciding factor was the fact that thepeople I am going to be calling the most are also on the same network, and Orange allow you to choose 3 friends to call for free on the same network (T&C obviously apply). Also since they are one of the larger service providers I can be assured that if I have a problem is I can speak directly to a human being in a shop and that they probably have a half decent help line. So while I also heard good reports about migros-budget and yallo being cheap from friends; swisscom and sunrise having good coverage but being expensive, other less mainstream networks I searched seemed not to have many reviews (well in English anyway). who are you going to be calling (network, country)? when are you going to be calling them? are you sending more texts than calls? do you want to be able to talk to someone face to face if you have a problem? However compared to some other European countries Switzerland seems overall quite cheap and well serviced by prepaid phone options.